In today’s marketplace, recruiting potential truck drivers is one of the most difficult driver recruitment challenges facing the trucking industry. With unemployment rates just below 4%, a growing driver shortage, and many other factors outside of carriers’ hands, the importance of a diverse media mix focusing on different strategies is needed to ensure that you’re bringing in qualified candidates to fill your job openings. 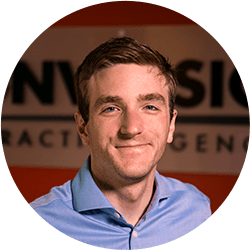 At Conversion Interactive Agency, we focus on the areas of the driver funnel to ensure a well-rounded mix, focus efforts on both active and passive candidates, and leverage our new LeadLink command center to track performance of your advertising efforts. At Conversion, we focus on approaching your needs by attracting potential candidates in each part of the recruiting funnel. Focusing on raising brand AWARENESS, generate interest and excitement about trucking companies with the CONSIDERATION phase, and finally get the potential drivers to show INTEREST, that leads to our final area of CONVERSION where a driver fills out a full application or short form and ultimately becomes a hire. All these phases of the funnel have different products, KPI’s, and goals. Awareness for example is focused on bringing in job seekers to the brand, so we look toward visits and building a remarketing audience, but your interest and conversion phases are focused on posting job ads on online job boards or using social media advertising to remarket to your audience. Focusing advertising efforts on both active and passive candidates is important for our industry in the age of the driver shortage, where to recruit truck drivers we can’t just advertise jobs on a careers page and hope to bring in people just searching for a new job to fill our needs. Social media advertising, Google Display and Search Networks, plus other products can allow you to target truck drivers that aren’t on a job site, but where they are actively spending time. On average, they spend almost 2 hours on social media, this includes 75 minutes combined on YouTube and Facebook alone. Lastly, making smart, data-driven decisions on your advertising helps you make sure you are maximizing your advertising mix. Conversion Interactive’s new LeadLink command center, helps you access your data by providing you data transparency with access to real-time information about your campaign performance, showing you the full driver journey from Awareness to Conversion in an easy to digest command center that includes geo-mapping of your social and digital leads. Of course, there are many other factors to consider when designing your media mix and there isn’t a magic bullet that works for the same two trucking companies. Ultimately utilizing your data to make good, solid decisions on your strategy helps to make sure that you are always staying ahead in the recruiting game.